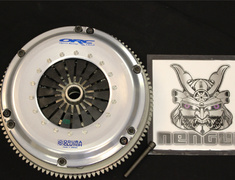 The Exedy D-Core clutch is an easy to use twin plate clutch for high performance vehicles. 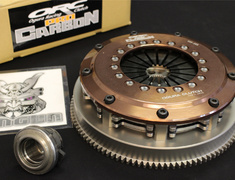 D-Core is the new generation of clutch systems by Exedy. 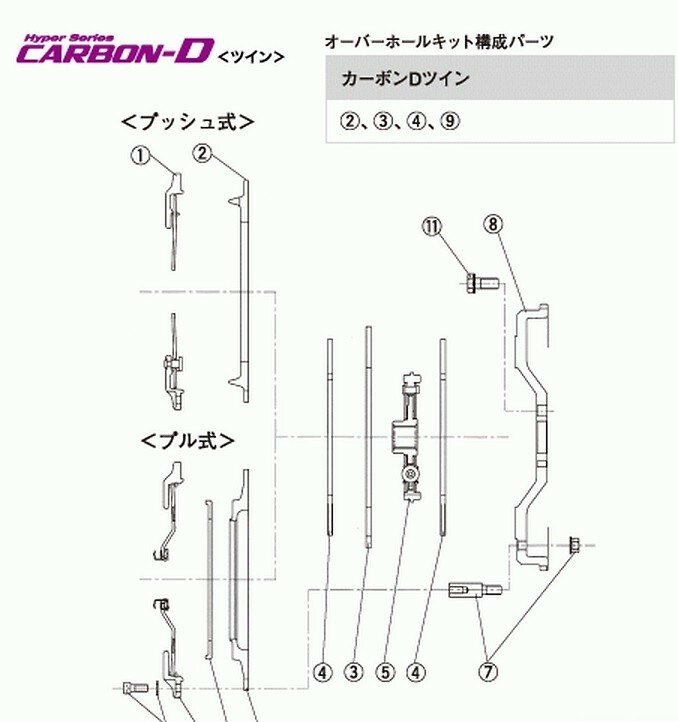 The revolutionary carbon clutch system is developed to achieve the ultimate goal of comfort and ease of operation. 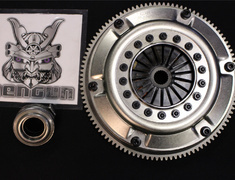 It is purpose built to absorb the noise and vibration emanating from the drivetrain components such as differential gear, transmission and engine. The D-Core system is designed to protect the drivetrain by absorbing and dissipating "shock torque" and is especially effective in vehicles fitted with 6 speed transmissions. 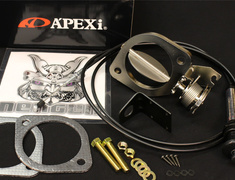 Superior engineering enables the D-Core clutch system to possess an ideal clutch engagement position, increased clamp loads and lower pedal effort, while the unique carbon fibre friction material allows comfortable half-engaged clutch operation and responsive gear changes. Introduction of a damper to absorb and dissipate noise and vibration. 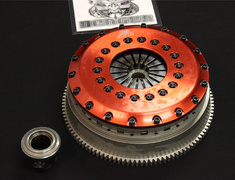 With the reduction in pedal effort and an increase in clutch disc size to 225mm, the D-Core Twin clutch is ideally suited to high performance vehicles. 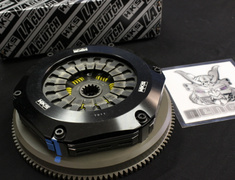 By optimizing the weight and inertia of the D-Core clutch system drivability is improved at low speed. Boss Drive with unique sports clutch sound. 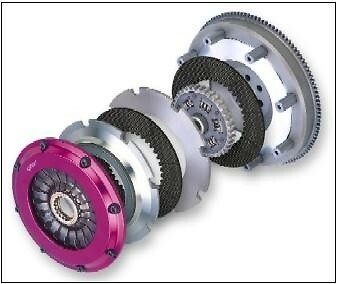 All Hyper Multi Twin Plate Clutches can be used for Max Torque 750N.m-800N.m (76kgfm-81kgfm). 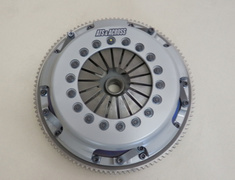 In 1995 Exedy provided clutches to a top F1 team. One of the the primary features of Exedy F1 clutches, carbon clutch technology, has now been introduced into performance products for street use. 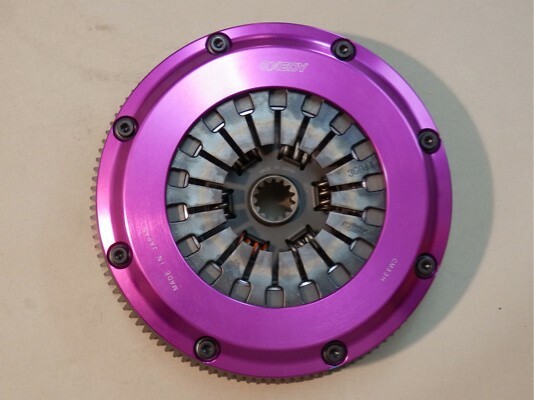 The carbon clutch series enables an improved shift feel and easy clutch operation which are requirements of performance clutches for street use.